Some times story ideas take a very long time to marinate before they are ready to be told. Such was the case with The Centurion (published in 1966) by Leonard Wibberly. 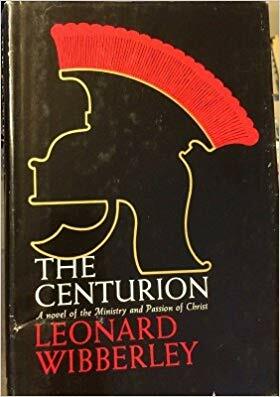 He is most famous for the book The Mouse that Roared, but it is The Centurion that has been in my memory for over forty years. The length of time is ironic, since according to my edition’s author biography, Mr. Wibberly mulled over this story for many years before writing it. The main character is Longinus, a Roman centurion. A centurion is mentioned as being present at Jesus’s Crucifixion in three of the four Gospels. There is also the centurion who asks Jesus to cure his ill servant in the Gospels of Matthew and Luke. Mr. Wibberly combined these Romans into his one fictional character. The question of who the centurion was and how his interaction with Jesus affected him is a popular story exploration. Lloyd Douglas featured him as a Tribune in his book The Robe (https://louisebergin.wordpress.com/2017/04/16/effects-of-the-robe/ ‎) Recently the movie Risen also made the Roman a tribune. He is a character people can focus on because he was a non-believer, non-Jew who was the executioner of Jesus. What did he see? What did he think? Was he changed and if so, how? Of course, that didn’t finish the matter. Ever since I closed the book 45 years ago, I have wanted to read what came next. As a Catholic, I know, but I wanted to read it, to experience it with the centurion. In 2017 at Easter, I finally put words on paper (or to computer screen, actually.) My short story “Guard Duty” was my attempt to answer the question raised all those years ago by this book. What did the soldiers see that first Easter morning? Some times story ideas do take a long time before they are written.